Freemasons help Kapiti Coastguard with new vessel. 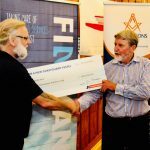 Freemasons in the greater Wellington Region donated $100,000 to the Kapiti Coastguard with the help of Lodges, The Freemasons Charity (who provided a one for one subsidy) and other Masonic Trusts. 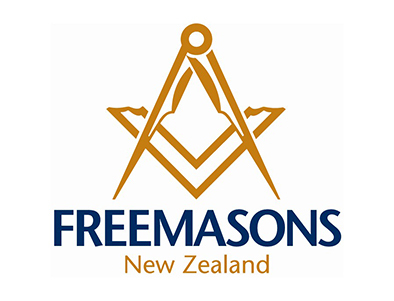 A presentation function held on Saturday 16th June 2018 was attended by many Freemasons. 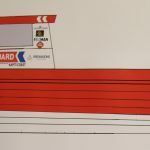 The new Kapiti Coastguard vessel will be called ‘Freemason’ and the funds are going towards the fit-out of all the equipment required for the new boat. Our Grand Master Mark Winger will be at the launch of the new boat in a few months time. 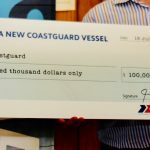 Photos – Draft of new Kapiti Coastguard Vessel, the $100,000 cheque and Jim Watt Divisional Grand Master presenting cheque to Rob Berry President Kapiti Coastguard.